ROC Recycling is a vision turned into reality through perseverance and hard work. This company has come a long way in a short period of time. One by one, restaurant, bars and local establishments have signed on board with us to turn Rochester into a Greener environment. These businesses have grasped the impact they are making in the local community. In November 2015 we opened our doors at 184 Smith St. in center city Rochester at the High Falls. We are now engaged with the local community to come forth recycle and even get paid! 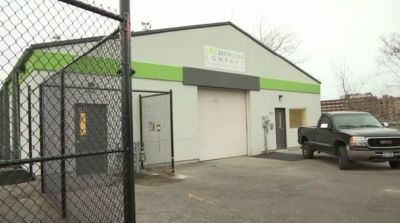 This is Rochester's first recycling center of its kind. We specialize in paper, electronic and redeemable recycling in a quick, easy and hassle free environment. Come and see us soon and feel the impact you can make on our city. ROC Recycling is a company which has high moral standards with an initiative for success. We are aiming to combine our effort with local businesses to achieve a Greener Rochester. We believe that together the environment, even the precise one you work at will be clean and safe. Our intention is to cut back the recycling costs to local companies. This will help relieve business owners of a heavy conscious and reduce the carbon footprint of their business. The process is quick, clean and organized. Most importantly, we want to bring our customer service to you no matter how your day has gone. ROC Recycling is officially: City's First Recycling Center Read More..
Today marks the 25th customer of ROC Recycling CompaNY. We are so thrilled to see how much progress we have made is such a short period of time. It gives us great hope and motivation to keep going till we reach a hundred and then try for a thousand. This company tries its hardest every day and stays committed to trying to be the best above the rest. Customer service is our # 1 priority! Thank you to all that have joined the Green team and to those future customers. ROC Recycling has been a huge relief. They come with an awesome greeting, always happy to see you. They are quick, organized and most importantly punctual. All around an amazing company to work with!